Your invitation to celebrate philosophy. 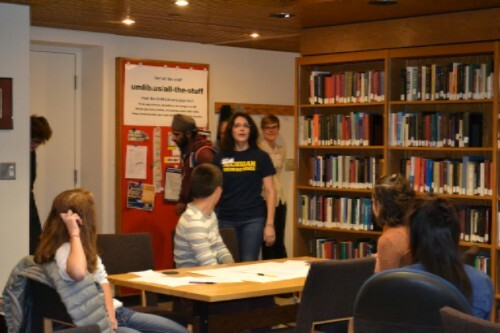 The Michigan Bowl showcases area high school students discussing real world ethical dilemmas before a panel of judges from 9 Michigan universities and colleges. This unique collaborative competition begins at 1pm on Saturday, January 28th at the U-M Palmer Commons Conference Center. To prepare you to think, please see the Bowl primer below. represent 3 Michigan counties this year. Each school can field 2 teams, including 5 students with 2 alternates. 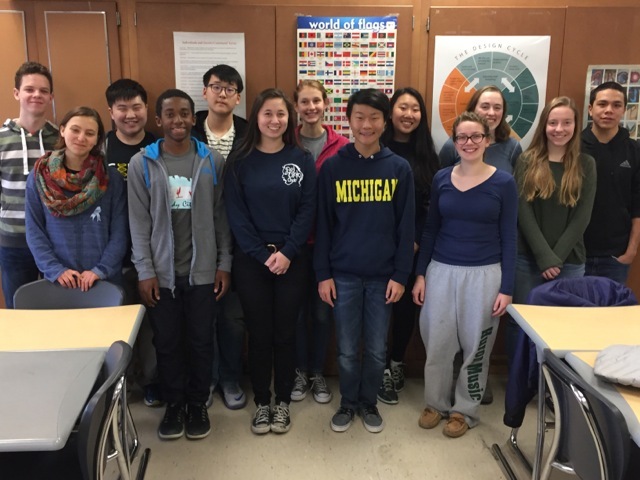 The 2017 Ann Arbor Huron High Ethics Bowl teams are featured in the photo. Last year, both Huron teams made it to the quarterfinals. Who are the other schools in the Bowl? The Case Studies animate and drive the Bowl competition. They present real world ethical situations across professions--from medicine to the building trades--and topics, such as the responsible use of emerging technologies. Above, a featured case writer describes her work to students at the 2017 Bowl season kickoff in November. are high school teachers who create the opportunities for students to get involved and realize their full potential. 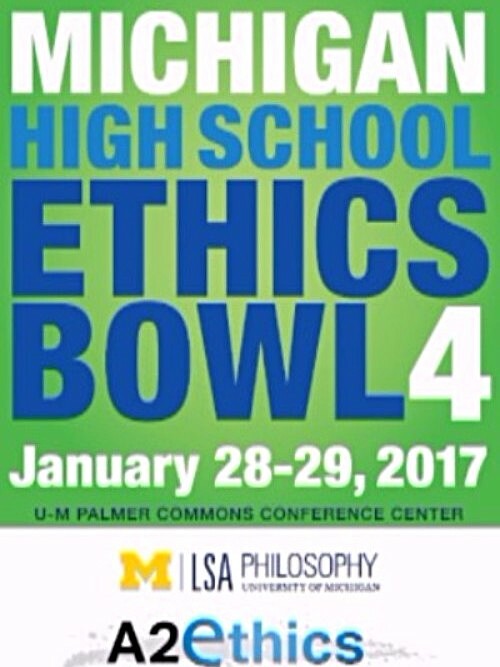 They are joined by U-M philosophy grad students who teach the basics of philosophy and ethics to student teams. 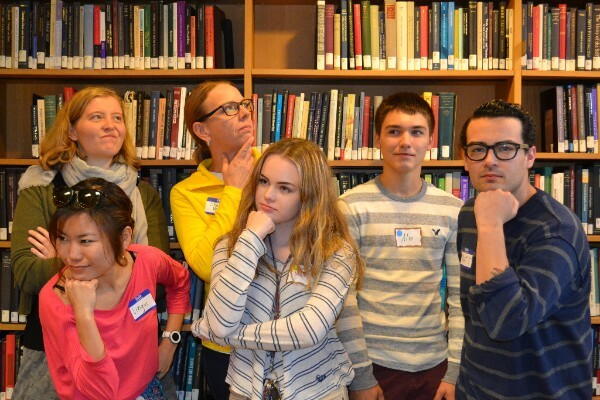 Above, members of the 2017 Saline High team are philosophizing with their faculty and philosophy coaches.